Walmart readies for National Unicorn Day on April 9, 2019, by offering what they're calling a "unicornucopia" of sweets from the bakery department for the occasion. 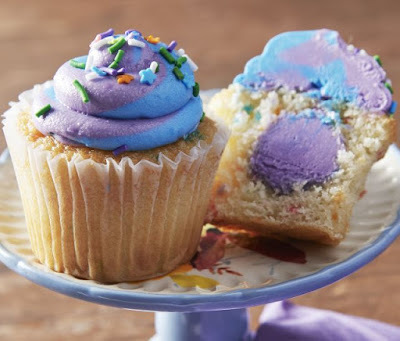 - Marketside Unicorn Cupcakes - Vanilla cupcakes filled with naturally-flavored cotton candy frosting and decorated with purple and blue cotton candy frosting as well as colorful sprinkles and stars. There's also come in a Jumbo version. - Marketside Unicorn Torte - A small layer cake with frosting and sprinkles. 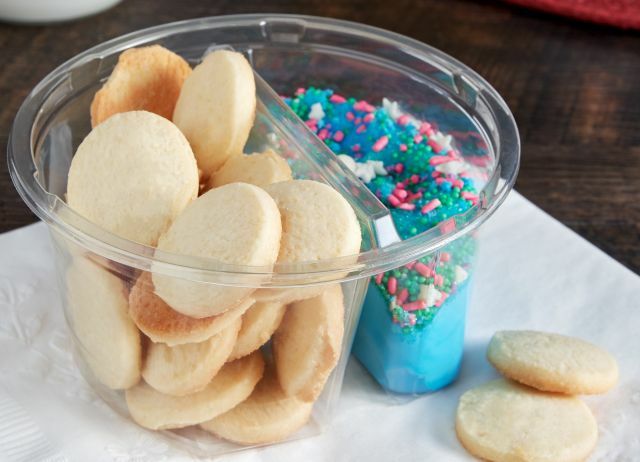 - Dunk 'N Crunch with Unicorn Frosting - Walmart's take on Dunkaroos (cookies with frosting to dip them in). Unicorn frosting in this cake is apparently blue and topped with sugar crystals, sprinkles, and stars. - Unicorn Birthday Cakes - Available in 2-tiered and quarter sheet.